Sounds like a simple enough question, but for many people it is a difficult question to answer. A refinance by definition simply means making a change to the current loan that you have. To do so, you must payout the current loan with a new loan. For example, you might want to increase the current loan amount to take equity out of your home or just increase the amortization period of the loan to lower the monthly payment or both. When considering a refinance of your current mortgage, there are many factors to consider depending on your individual situation. One consideration is the penalty or cost to pay out the current loan and set up a new loan. The first step is to find out what penalty, if any, you will have to pay to the current lender if you pay out your mortgage early. Once you know the penalty, the benefits of the refinance need to be considered and weighed in contrast. One major benefit might be overall savings in interest costs. For example, if you are paying the minimum payment on credit card or other high interest rate debt, calculate the amount of interest you will pay before paying down the debt completely. In some cases it can take up to 10 years to eliminate these debts and cost thousands of dollars in interest. Another factor to consider is overall ability to service your current debt load. If you have several required monthly payments it may make sense to consolidate into 1 loan. 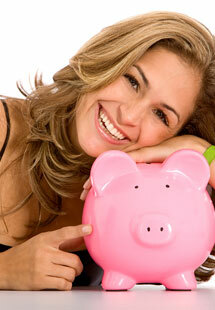 Consolidating debts will lower your monthly expenses and free up money for other things. Even if you are not paying interest on other debts a final reason to consider a refinance of your current mortgage is future interest savings. For example, you may have 2 years remaining on your current mortgage loan at a pretty good rate but are concerned about rates at renewal time. For some people, it will make sense to negotiate a new loan for another 5 years while rates are still low. This will gain you an extra 3 years of payments at a low rate. This scenario is particularly applicable to people who are rate sensitive. For some people an increase of 2% can increase their mortgage payment to an unmanageable sum. Alberta Equity has helped over 50,000 people find and qualify for the best mortgages in Canada for over ten years. We do all of the heavy lifting and ensure that you get the best mortgage rates and product features available. Apply online for a free, no obligation consultation or alternatively, view our products and services.